The Scioto County Church Women United will host ‘The Christmas Store’ at Shawnee Family Health Center in Portsmouth on Dec. 13, 2016. 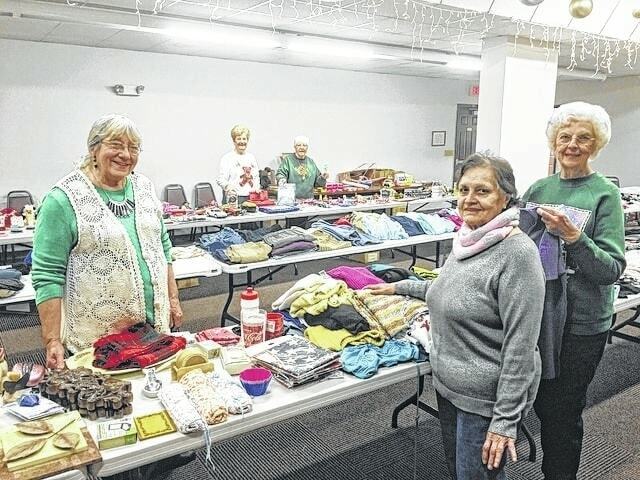 ‘The Christmas Store’, to be held Dec. 13, from 9 a.m. until 2 p.m. is an annual effort of Scioto County Church Women United (SCCWU) which ensures that clients of Shawnee Family Health Center (SFHC) are remembered at Christmas time. Each year, members of SCCWU assemble on the second floor of SFHC in Portsmouth to collect a wide variety of donated items consisting of clothing, coats, furniture, and so forth that are given as gifts to the clients of SFHC. The Christmas Store is an ecumenical effort of local churches working together, to organize what always ends up as a room filled with donations. Shelby Powell, president of SCCWU, and member of Cornerstone United Methodist Church, said The Christmas Store is a highly anticipated event. Patricia Parker, a member of SCCWU, and member of Pleasant Green Baptist Church said all participants benefit from The Christmas Store. All donations may be dropped off at SFHC, located at 901 Washington Street in Portsmouth on Dec. 13, at 9 a.m.